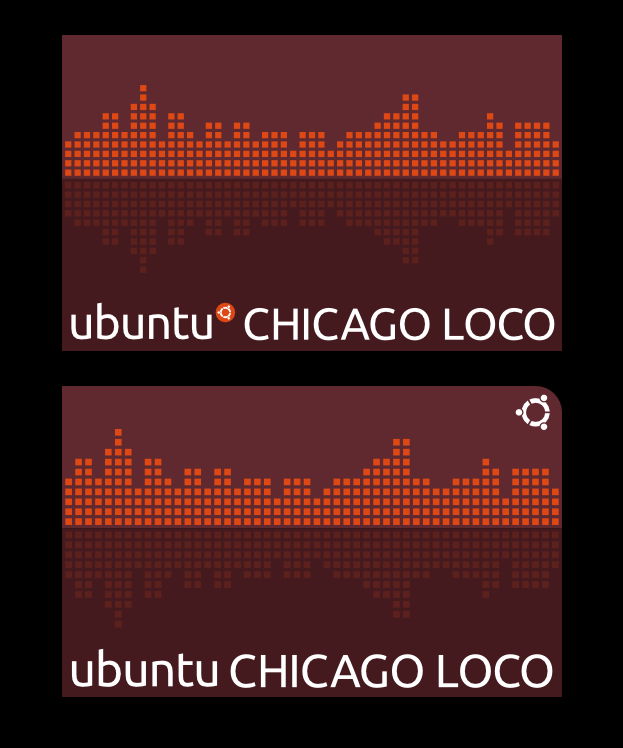 A user I only know as kmrs75 so far, showed up in #ubuntu-artwork with a few T-shirt designs for the Chicago LoCo (edit: added link to the designs, thanks to nhandler). I felt inspired, even more so after an image search. The initial design on top isn’t suitable for vinyl transfer, because the Circle of Friends is much too small to be cut out; the second might be. He has been doing a lot of great work. He has a full album of mock-ups for possible Chicago shirts. My personal favorite is this shirt (but it does have a few things that need to get fixed). I am glad to see that he took my advice to look into the Ubuntu Art Team. Keep up the great work kmrs75, and thanks for blogging about this Thorsten. holy… simplicity – the outline of what wants to tell/transport (message); and this one here SO rocks ! Impressive. Not a line too much, not a dot too much. Incredible. Really really impressive work (my favourite is…no wait, it’s… aaaagh !) Really well done. Congratulations !!! This is an excellent idea, I might borrow this and see if Ubuntu Wisconsin would be interested. Thorwil, you’re a very talented graphic artist. Keep it up!